In Susan Haley’s sixth novel, Maggie Ribbinski returns with her daughters (and without their father) to the small Nova Scotia resort town where she was raised. Soon after moving into her late mother’s house, Maggie has a chance encounter with a crush from her teenage years. Tom and his band of theatre friends quickly infiltrate Maggie’s brittle relationship with her daughters, turning it on its head. In a summer of complicated and unconventional relationships, Maggie is forced to redefine her notions of family. Haley shows an excellent capacity for handling her characters’ quirks, pushing the borders of familial, heterosexual and homosexual relationships to locate a tenuous middle ground that ultimately comes closer to reality than any of the conventions. With a remarkable ear for both dialogue and thought, Haley has written a novel that is truly engaging. 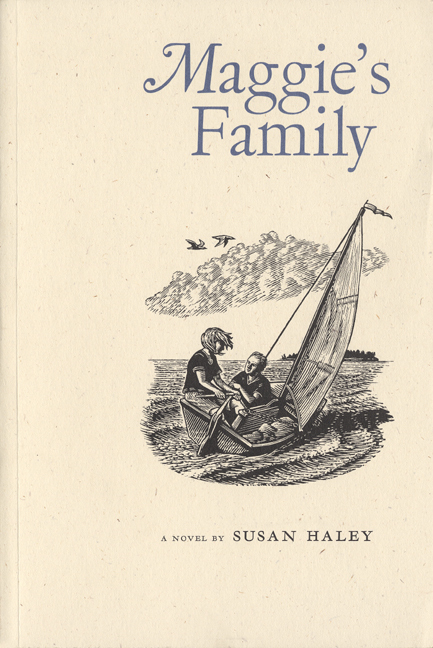 A complex and humorous novel about love and family in a Nova Scotia resort town. Can I have an email adress?